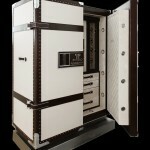 This Hybris Mechanica 55 safe from Jaeger-Lecoultre is covered in leather and includes watch winders for 11 watches. 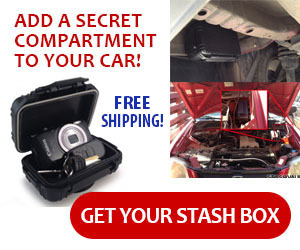 It comes with 3 fine watches from the German manufacturer and includes a sound system so you can hear that click of watches inside even while completely locked and secure. Luxury safes like this one are overkill in many instances, but they look good and do offer superior protection.